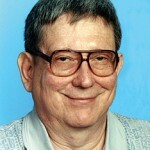 Mr. Walter A. Lawrence “Coach,” age 78, of Rockford went home to be with his Lord and Savior on Saturday, March 12, 2011. 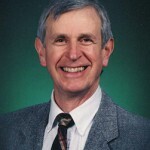 Walter graduated from Leelanau in 1951, where he participated in everything that involved sports. Walt attended Albion College, where he received his B.A. degree. He also ran cross country and track. It was there that he met JoEllen and, after a loving courtship, they were married. Walt was a member of the Sigma Chi and sang in the barbershop quartet with the fraternity. His first teaching position was in a split class at Belmont School when male teachers wore suits and ties. 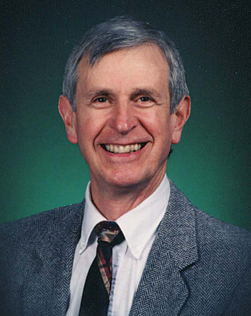 In 1964, he became the cross country coach for Rockford. Many young people remember cross country camp at Ludington, especially the sand dunes. Walt also coached in the 1996 Paralympics and was the assistant coach for the National Goalball team. For 27-plus years, Walt taught just about everything for Rockford Public Schools. He will be remembered for his nonjudgmental nature, his very dry sense of humor, his ability to laugh, and his enjoyment of everyone’s company. If Walt ever met a stranger, that person immediately became his friend. In his retirement years, he worked at Jody’s Restaurant. His quiet, deep faith was very important to Walt, but his family was top priority. 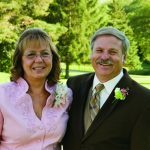 Walt was a long-time member of Rockford United Methodist Church, where he sang in the church choir and served on many boards. In your busy life, just pause for a moment and think about Walt. 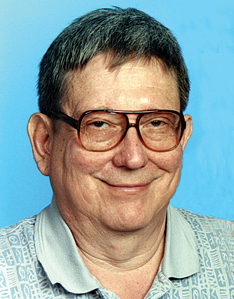 He is survived by his loving wife, JoEllen; children, James and Lara Lawrence of Knoxville, Tenn., and Sarah and Rich Mann of Cedar Springs; and grandchildren, Gabrielle, Courtney, Abigail, Rachel, Cole, Zac, Sirena, Heather, and Austin; brothers and sister, Howard Lawrence Jr., Mrs. Margaret Jack, and Paul (Martha) Lawrence; nieces and nephews. He was preceded in death by his grandson, Noah; and brothers, Luther and Gordon. The service for Walt will be Thursday at 11:00 a.m. at Rockford United Methodist Church with the Rev. Richard Riley officiating. Those planning an expression of sympathy are asked to consider Rockford United Methodist Church. Relatives and friends may meet with the family at the funeral home on Wednesday from 2 to 4 and 6 to 8 p.m. 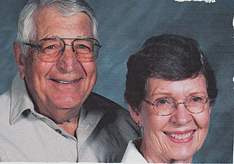 Husband and wife, Donald C., 85, and Betty L. (nee Wetzel) Morgan, 81, of Rockford both passed away at Woodside Hospice House in Pinellas Park, Fla.
St. Petersburg had been their winter home for 22 years. 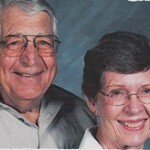 Don passed away on Tuesday, March 1, 2011, and Betty on Friday, March 4, 2011. They were each preceded in death by their parents, a brother and a sister. Don was born May 6, 1925, in James City, Pa., and Betty was born July 13, 1929, in Toledo, Ohio. Don. They were members of the Rockford United Methodist Church. Surviving Don is a sister, Alice, of Bellaire. Surviving Betty is a sister, Joyce Houk of Durham, N.C. 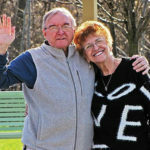 Surviving both of them are their three children, Paul (Joan) Morgan of Portage, Lee Morgan of Rockford, and Sally (Richard) Ray of Jenison; eight grandchildren, Jeffrey Morgan and Joshua Morgan of Portage, Anne Morgan of Kalamazoo, Michelle Morgan of Rockford, Jaison (Tara DeGretchie) Kaupa of Goldsboro, N.C., Steven Kaupa of Jenison, Lisa Kaupa of Grand Rapids, and Michael Ray of Jenison; two great-grandchildren, Ian Settle and Jacob Kaupa of Goldsboro, N.C.; and many nieces, nephews and cousins. Cremation has taken place. For those who wish, memorial contributions can be made to the Woodside Hospice House, 6770 102nd Ave., Pinellas Park, FL 33782, or the Rockford United Methodist Church. A memorial service celebrating their lives together will be held at the Rockford United Methodist Church, 159 Maple St., Rockford, on Friday, April 15, 2011, at 1 p.m.
Mr. Ralph Charles Zielke, age 68, of Cedar Springs went home to be with his Lord and Savior on Monday, March 14, 2011. For 41 years he worked in middle management for the U.S. Postal Service. Ralph had a special interest in local political discussions and was a regular attendee of the Cedar Springs City Council meetings. He was an avid gardener and especially loved flowering garden plants. Ralph is survived by his loving wife, Nancy Marie (nee Flynn); his daughter, Christine Marie (John) Greck of Howell; granddaughters, Caroline Marie, Andrea Colleen, and Brittany Alexandra; great-grandson, Forrest William Bentley; brother, Arthur (Bobbie) Zielke; nephew, Jason Zielke; and niece, Rachel Zielke. The service for Mr. Zielke will be Saturday, March 19, 2011, at 11:00 a.m. at the Pederson Funeral Home in Rockford with Pastor Tim Hall officiating. In honor of Ralph’s love for gardening, rather than cut flowers, a flowering garden plant that can be replanted in a memorial garden in his yard would be appreciated. Visitation for relatives and friends who may wish to meet with the family will be held at the Pederson Funeral Home on Friday from 5:00 to 7:00 p.m.